Continuing on with our (ir)regular featured Wednesday meme of counting down to the releases of those highly anticipated books this year, we are fully jazzed about the upcoming conclusion(?) 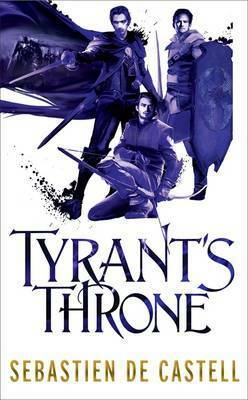 to the The GreatCoats series by Sebastien DeCastell from Jo Fletcher Books, Tyrant's Throne. Falcio, Kest and Brasti, where will you guys go next ? 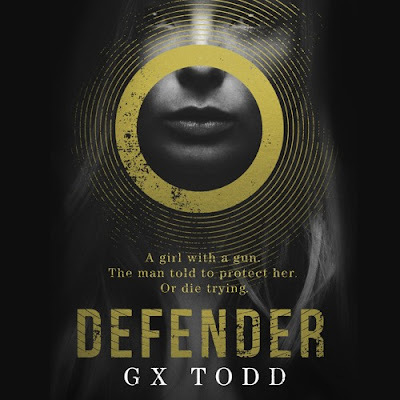 Defender is an eminently readable debut - remarkable in it's grey and dismal rendition of a dystopian world where people, hearing voices in their head, have all chosen to end their lives, making Earth a barren desolate landscape. Population is thus scarce in GX Todd's post-tragedy America and so that makes a lone traveler named Pilgrim who rides through this lonely landscape something of a rare breed - doubly so, because he has come to a sort of non-violent agreement with the voice in his head, which he refers to as Voice. James A Moore is one of the three, in the Three Guys with Beards Podcast. Christopher Golden and Jonathan Maberry being the other two. Now I've read ONE book of each of these three guys. If I were to rank them, I would say I loved Jonathan Maberry best, Tin Men by Christopher Golden next and the open act of the Seven Forges series is the one I liked the least. Sadly, I didn't get back to finish the Seven Forges. 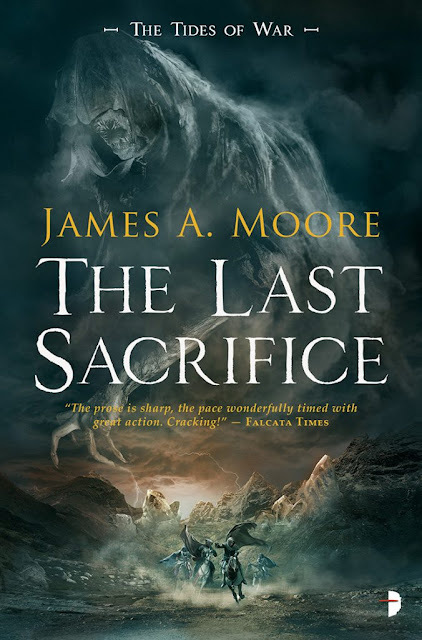 But then, I happened to come across the premise for The Last Sacrifice. Brogan McTyre, a warrior whose family gets sacrificed to appease the Gods, now decides to take the battle to entirely new level. He defies the Gods and challenges them. And this act has catastrophic consequences on the entire world, the angry Gods raining down hellfire and damnation on everybody. This sounded like one hell of a plot-line. Angry gods, their pets called Undying and some stubborn fool of a warrior, who doesn't know where to draw the line. 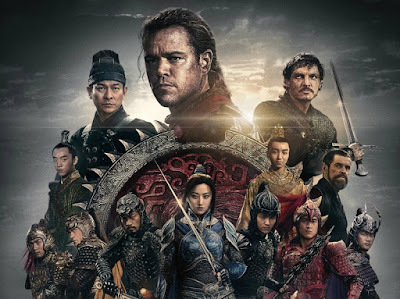 The Great Wall was another one of those movie, where the trailer really did cover it all and the movie itself, didn't have much else to offer. One of the biggest movies from China last year, director Zhang Yimou ('House of Flying Daggers') ties up Hollywood production values with Asian sensibilities to bring to life, one of the countless 'legends' about the staggering Great Wall of China in this movie - an epic fantasy adventure about mythical creatures that live in the North beyond the Wall who are out to annihilate the whole world - with the Wall and the Nameless order of brave, selfless soldiers the only protection against them.